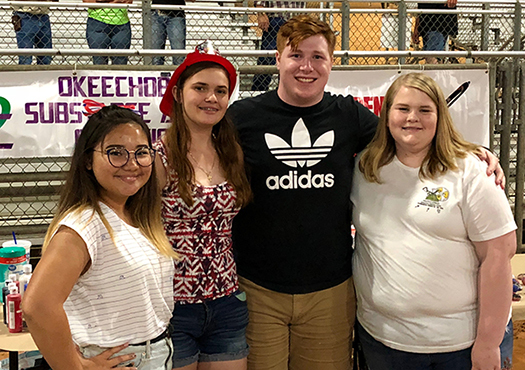 On July 4th, 2018, local Students Working Against Tobacco (SWAT) youth from Okeechobee SWAT Chapter hosted a booth at the Independence Day Celebration where attendees were able to hone in on their creativity and paint rocks with tobacco prevention messages. SWAT youth educated the attendees on the new Not A Lab Rat Campaign that is focused on how Big Tobacco uses our youth as experimental Lab Rats when it comes to their use of E-Cigarettes and any ENDS (electronic nicotine delivery system) device. 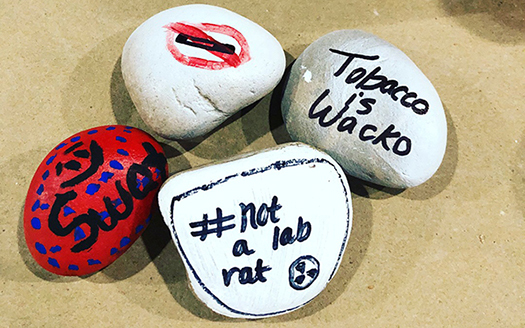 Afterwards attendees chose a rock and painted a tobacco message that resonated with them. SWAT youth assisted over 1,000 attendees during this event, and many kids and adults expressed how much they learned and enjoyed the activity.